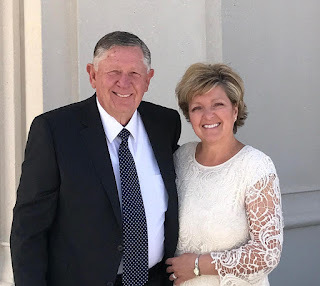 My husband and I were recently called to serve in the Florida Tallahassee Mission for The Church of Jesus Christ of Latter-day Saints as 'Senior Missionaries'. We are thrilled, humbled, and grateful to be here. We were asked to be 'spanish-speaking' missionaries (I served a mission years ago in Mexico and my husband is learning), and are working with the local hispanic population whom we have grown to love very quickly. They are faithful people! Many are hard-working, love their families, and want a better life here in the states. We honor them for their desires to provide a safer place and better future for their children. Our mission blog is On His Errand - and we invite you to share in our special experiences if you so desire. One thing we've learned is that Heavenly Father loves all of His children, no matter where they are in the world. And, that as we reach out to them in love, they are able to learn of and feel His love for them. We are grateful (and desire to be) His servants; His hands to lift those who struggle, up to a higher height.